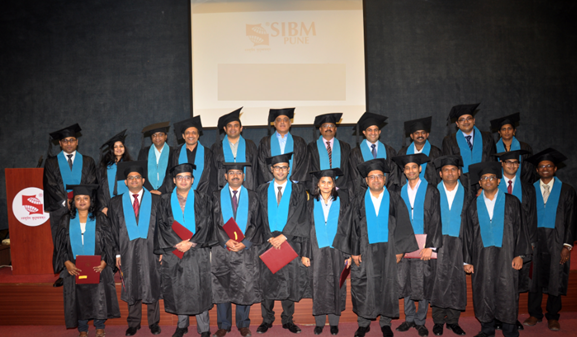 I am glad to share with all of you that the closing ceremony for the long term MDP conducted by SIBM, Pune for the first batch of Credit Suisse employees was held at the Convention Hall at SIBM, Pune on 3rd February, 2016. On the occasion, 24 students were conferred the Executive Post Graduate Diploma of which 17 collected the same in person. Ranjit Anand (Head- Centre of Excellence, Pune-Credit Suisse), Anmol Khatter (VP Talent Development), Sanjay Nair (VP HR) from Credit Suisse were present for the occasion. Prof. Dr V V Ravi Kumar, who was the faculty in charge for this programme, left no stone UN-turned , and ensured that the MDP was successful, and this made all the participants “delighted” . The participants were in their special gowns for the occasion made the event memorable by clicking numerous photographs in that attire. The Closing ceremony for the MDP conducted for Credit Suisse on 3rd February, 2016 @ SIBM ,Pune 5 out of 5 based on 1 ratings. 1 user reviews.